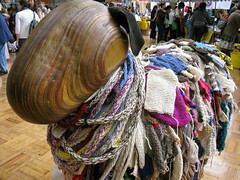 I Knit Day finally arrived yesterday and it was absolutely brilliant. The day started off with a dozen or so knitters taking over the wonderful Regency Cafe in Pimlico – it was all classic builder style laminate tables and big fry-ups; absolutely perfect fortification for the day ahead. I’m sure it was the three hash browns that kept me going! 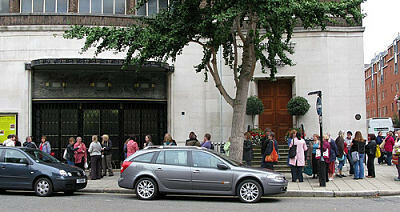 By the time we arrived at the venue, the queue was already snaking around the corner, and when the doors opened at 11am there were knitters around the block. I wonder what time the first few fans arrived? 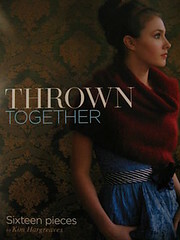 The Thrown Together Collection by Kim Hargreaves, which I’ve had my eye on since even before it came out. I wasn’t disappointed – the patterns are classic Kim Hargreaves, and the photography is beautiful with a vintage touch. 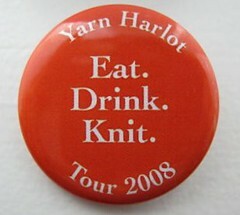 There is more than one cardigan from that book in my queue. Continuing with the vintage theme, I pre-ordered my copy of A Stitch in Time from the lovely Susan. 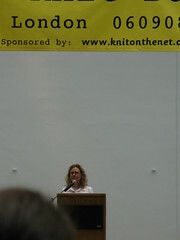 Jane Waller spoke at the day and gave a great overview of knitting fashions and trends from the 20s to 50s, and I enjoyed hearing her talk even though I saw her at last year’s event too! 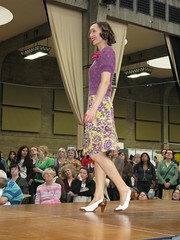 Loads of the garments featured in the new version of her book were presented at the fashion show. Images taken from the book were used for gorgeous notecards which were up for display – if they’re anything to go by, the book should be visually stunning as well as historically very interesting. Full credit to Stephanie; she certainly knows her stuff, and gave a really solid talk before spending the entire afternoon signing books by the thousand. Can’t wait to see what Gerard and Craig have up their sleeves for next year. Oh yeah, and what about Paris? That will be in the next post….